Paid Bid to The Finale and The One!!! Our Senior Explosion was on FIRE at CDE in OC, Maryland!! 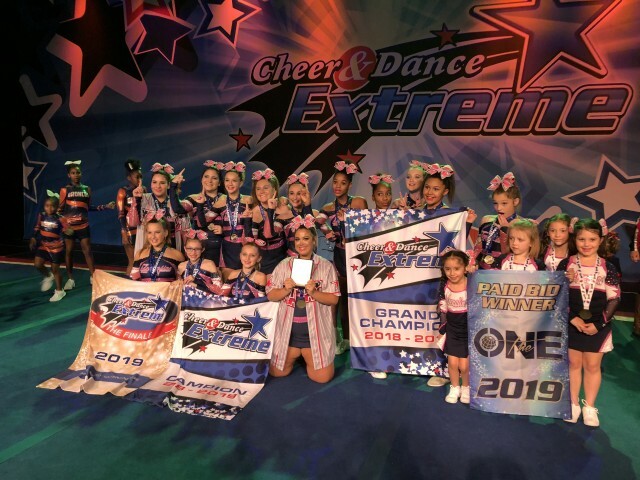 They received PAID BID to THE ONE and THE FINALE, GRAND ELITE CHAMPOINS and BEST PYRAMID!!!!!! Great job, MAX!!! JR, Shock received First Place too!!! !